This series has been on my TBR list for a while. In September I joined a group on Goodreads and Clockwork Angel was one of the Books of the month to read. I grabbed this opportunity as an excuse to read this series. I loved book 1 (Clockwork Angel) so much that I had to find time in my review schedule to read this sequel in the series as well! In magical Victorian London, orphaned Tessa finds safety with the Shadowhunters, until traitors betray her to the Magister. 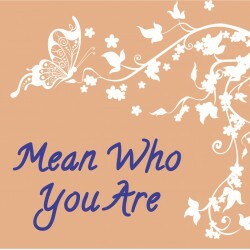 He wants to marry her, but so do self-destructive Will and fiercely devoted Jem. Mage Magnus Bane returns to help them. Secrets to her parentage lie with the mist-shrouded Yorkshire Institute's aged manager Alyosius Starkweather. I love this series. I was not disappointed by this sequel at all. I loved how we uncovered more of the story and that a few of the mysteries were unveiled. Will - You love him - he annoys u, intrigues u and reels u in. U want to shake some sense into him and yet u want to figure him out. What curse? What's he hiding? So many questions! In this book you finally start understanding Will a more. You feel his pain and joy. Jem - oh Jem! He makes me feel warm and fuzzy, and I love his character more with every chapter. He is still my favourite character in the series and he is that good person you just want to protect and cannot help loving this swoon-worthy character. Tessa - You want her to figure out Will and break down his walls, yet at the same time you're rooting for Jem! Tessa is soft, kind, funny and strong. She has definitely grown in this book and I cannot wait to see how things develop in Clockwork Princess. Magnus, Charlotte, Henry, Sophie, Jessamine - Most of these characters are so loveable and each brings their own appeal to the story. The only character I didn't not really like but felt so sorry for was Jessamine. The Plot is captivating and well paced. 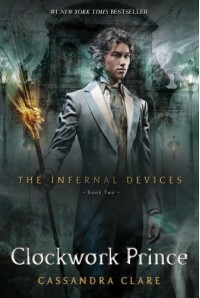 Cassandra Clare knows how to capture her audience and write a brilliant story. The characters are well developed and her writing captures your imagination. I LOVED this cover, as I did the previous one, and as I will most likely love the next one. I am not sure how much more I can say without including spoilers so I leave you with this: Clockwork Prince is a brilliant captivating read!